PEGAS representatives met with Head of Aviation Security Unit in DG Move, in May 2014 to present him PostEurop positions on EU aviation security regulations and establish closer collaboration with DG Move. 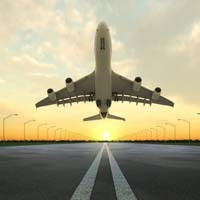 In the last years, two European regulations were issued on Civil Aviation Security, Regulation n° 300/2008 in March 2008 and Commission Regulation n°185/2010 in March 2010. On 9 November 2012, the EC issued a Commission implementing regulation, EU 1082/2012, amending Regulation 185/2010 for the cargo and mail being carried into the Union from third countries. PEGAS is following the implementation of this rule and its consequences on mail. It relays the information about Independent validators among its members and explores the consequences for each member operator. PEGAS also contributed to the drafting of a letter to the head of AVSEC unit to organize new procedures for Stakeholders group on AvSec work with DG Move (Jan 2015). PEGAS commented on the European Commission’s call for feedback on working program in land transport security (March 2013), seeing most value in enhancing cross border police cooperation at EU-level, by promoting cross border investigation and reporting crimes options. PEGAS also calls for promoting secured parking areas along the principal road transport corridors, which would enhance security of transport immediately. On explaining sharing information and experience about the new main issue of the transport of dangerous goods. On drafting questionnaires to its members on different issues in accordance with our points of interest. On the positioning of each postal operator about OEA and TAPA. PEGAS actively monitors the regulation development process on advanced data screening on security purpose and ensures the differences of postal services to other cargo business models are taken into account. Since January 2013 PEGAS hosts Landsec (Land Transport Security) in close cooperation with Transport and Energy Working Group under the auspices of Security and Customs transversal. PEGAS also ensures the exchange of information amongst the members and keeps in touch with various bodies and working groups in Europe. PEGAS participates in SAGAS and Landsec expert advisory groups organised by the European Commission.